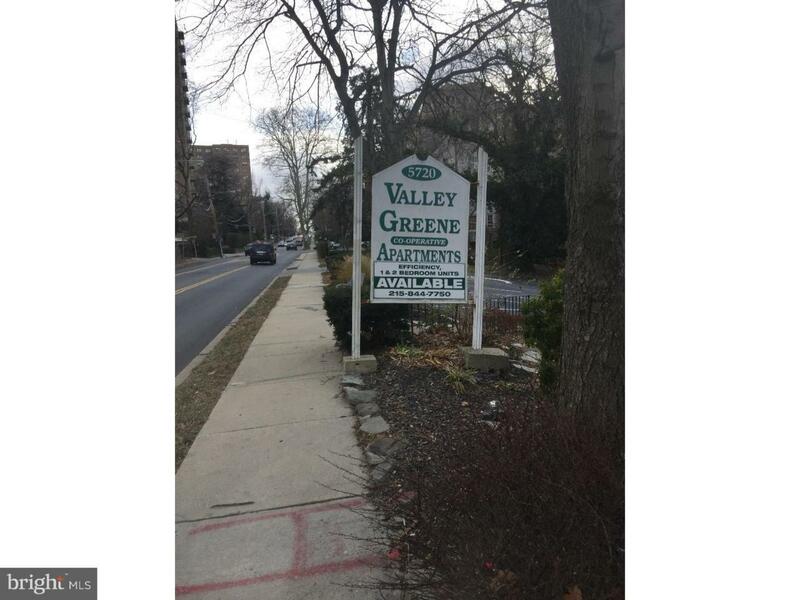 Affordable NYC living in Philadelphia: cooperative apartment situated minutes from Wissahickon Valley! BRIGHT two bedroom apartment featuring parquet flooring, newly installed kitchen with stainless steel appliances, updated lighting fixtures, upgraded bathroom, and in unit washing machine. Unit features ample closet space with additional storage space located in the basement. Building amenities include secured entry, front office package receiving, social room with 52" TV, computer with internet access, and many planned community activities. Monthly charge includes water, electric, building and grounds maintenance, and real estate taxes. Complex has plenty of on site parking available and is just steps to many modes of public transportation! Conveniently located near Center City, grocery stores, shopping, and many Philadelphia universities. An executed offer will be submitted to the Board along with 3 references, and a credit report. Decisions to accept made quickly! Note: no mortgages accepted. No pets. Unit to be owner occupied (no renting). Unit can be showed Mon-Fri from 10-5pm. Listing courtesy of Exit Benchmark Realty.